An absence of an online platform where women (while being in maternity leave or housewifes could earn money by selling old stuff from their wardrobe. Women did not know how to get rid of unnecessary clothes and earn money for shopping new one. 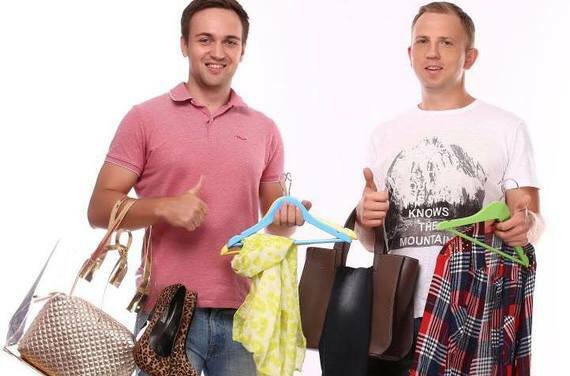 An absence of an online marketplace for selling second hand clothes on the Ukrainian market. Absence of a place where one can buy almost new clothes at a lower price. To develop a professional community of sellers providing a place where micro-entrepreneurs can sell second hand clothes online. To suggest customers use a web platform / To suggest using a web platform where one can choose and buy second hand clothes online. GMV (Gross Merchandise Value) is changed indirectly as sales do not go through the website. Purchase of a product — a percentage of goods presented on the website which is sold within 30 days (conditionally average bill of sale). Number of salesmen who posted their announcements over a day. Number of announcements posted per day. Percentage of purchases made by old and new buyers. Percentage of sales from old and new salesmen. Opportunity for professional salesmen to do micro business on the website. Assistance to micro entrepreneurs in their strive to become more professional. All the characteristics of a good are described, good-quality photo is attached. Micro entrepreneurs are provided with an opportunity to make money, they can see the future development in business. they buy stuff at stock markets, abroad, work by the drop shipping scheme. they buy nice clothes at low price at an offline shop, wash it, make pictures and add 300% to its price. Women who have a lot of clothes in their wardrobes and want to get rid of it. Women who want to buy a second hand clothes online. Revenue from posting announcements or percentage of the good cost. (The project is at the development stage, no revenue. Business models are at the testing and selecting stage. The only income is revenue from posting VIP and TOP announcements).